Today’s scarf is a pashmina. My mom received this as a gift many years ago from a friend. While my mom does where scarves this one was not really her style. But I loved it. 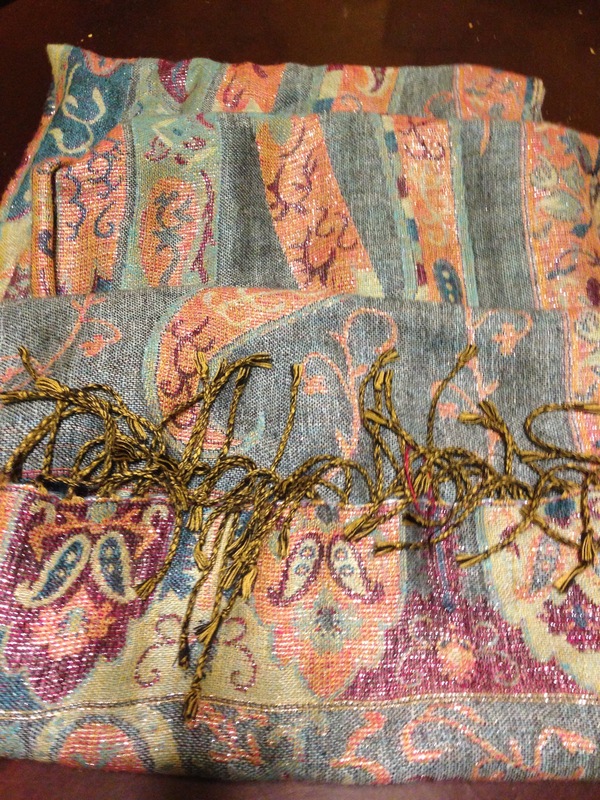 The fabric is weaved with many different color threads and some of it shimmers in the light. It’s so big and beautiful and feels so cozy when I wear it. I really love it, like I love all my scarves. I hope everyone had a great weekend. Thanks for reading.